When attempting to build PHP 5.3.6 on OSX (Snow Leopard) I got warnings about iconv, which I had installed via ports. I attended TekX in Chicago last week. I’ve been attending tek for (I think) four years now, and it’s consistently the best conference I do all year. It’s pretty much the only conference where I attend talks and feel like I’ve gotten something out of them more than merely academic interest. And this year, the Wednesday keynote (Josh Holmes) was the best keynote talk I’ve attended in years. He spoke about the value of simplicity. Specifically, the value of understanding what the customer needs (possibly as distinct from what they ask for?) and giving them that thing they’ve asked for, rather than a framework for generating frameworks for solving a larger class of problems that might some day solve the one they have. I attended Derick’s talk about the DateTime stuff that he’s been working on. Although I was aware of some of this stuff from his talk two years ago, it was unfinished at that point, and so I haven’t actually played with any of it. I expect to have uses for it, starting today. Having worked for a while on the DateTime stuff for Perl, I know how hard timezones are, how hard recurring events are, and various other things associated with calendars. Derick has done amazing work. I attended a talk by @lornajane about Subversion and Git. This was the first non-religious comparison that I’ve seen. I’m so very turned off by the religious fervor that seems to always go along with discussion of revision control. Lorna’s discussion of comparative features, benefits, and so on, was very refreshing, and I finally feel that I have some idea what the real differences and similarities are. This talk was followed by a talk about Git which was more religion and less information, but still gave me some good solid information. I’ve been using Git now for 2 or 3 weeks, and so far I hate it. It appears to solve problems that I don’t have, and make simple things into 3 or 4 steps rather than 1. Offline commits are clearly a really cool thing. Nothing else that Git offers seems to be terribly useful. The rhetoric around Subversion being old and crufty, while Git is new and shiny, just doesn’t seem to match the reality. I really should write a separate post about Git. I’m getting sidetracked. Anyways, TekX was brilliant, and I highly recommend that you put it on your schedule for next year if you do anything in the PHP world. For the last five years, roughly, I’ve been doing PHP programming, gradually forgetting the Perl that I knew, except when I wished PHP would do something that Perl makes easy. It was therefore with some trepidation that I started on my new project, which uses Perl, mod_perl, and a heap of CPAN modules that I used to be very familiar with, but have, I thought, forgotten. I’ve been very pleased to discover that I haven’t forgotten it, although some of it is pretty rusty. Perl’s use of different variable sigils ($, @ and % to denote different variable types) was welcomed back like group of old friends of whom you have fond memories, but sometimes confuse their names. If you know what I mean. But it’s all coming back to me, and the various Perl colloquialisms are springing to my fingers. 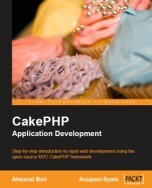 I think that my years in PHP have benefited me, but I’m not very clear just yet in what way. The ability to jump back and forth between languages can make you perpetually confused, or it can make you stronger in both, depending on your approach. One hopes that you can learn something from the one to take back to the other, but that doesn’t always work out. I am reminded on a regular basis, by support email, that I have a bunch of modules on CPAN which have largely languished while I’ve been in PHP-land. Of course, many of them have been superseded by better modules while I’ve been away. The Date ones, in particular, have almost all been superseded by the Perl Datetime project, which, although I helped start, Dave Rolsky has been heading for several years now. Maybe, if I’m lucky, I’ll have an opportunity to resurrect some of those modules and start playing with them again. Non-gregorian calendars, and traditions about different dates have long held a fascination for me, and I’d like to play with that again. But, meanwhile, I’m learning the slang again, and since I’ve missed a half-dozen releases of Perl, I’m sure that it does even more weird and wonderful things than I did when I was a common face around the Perl circles. I saw Yoav’s blog entry on Tidy and for a brief moment, in the first paragraph, thought that there was actually a phptidy utility. Alas, it was not to be. Perl has had perltidy for some time, and, as I understand, it’s a pretty hard thing to do. But I keep hoping that someone will do the same thing for PHP. Meanwhile, fortunately, php syntax is enough like perl that I can use perltidy to reformat php code about half the time (I have a vim macro that runs perltidy on the selected block of text) – the other half, it complains about syntax errors and screws things up pretty well. We use Plug n Pay at $work to conduct our financial transactions. It’s a great service, but the example code that they provide for PHP and Perl developers leaves something to be desired. I spoke with a tech support guy there, and, while he was helpful, and clearly very knowledgeable, I found that we differed significantly on a particular point of philosophy. He seemed to be somewhat perplexed as to why I would want a full OO interface to their API, because, as he said, any PHP programmer worth their salt can take the API documentation and write code that sends arguments via Curl, or PHP sockets, or whatever, and get useful results from it. To this end, they offer one PHP file, containing a partial implementation of one of the API methods, as an example of how one might do this. The example manually builds a query string, rather than using http_build_query, and manually splits the return value, rather than using parse_str – not crimes in themselves, but it seems that ecommerce code should be held to higher standards than this. While I don’t disagree that a good programmer could indeed do this, I disagree that any would *want* to. Good code is reusable code. Having thousands of programmers writing exactly the same code, and having many of them, no doubt, doing it really badly and insecurely, is not in the best interests of anyone – the programmers themselves, the companies they work for, or even Plug n Pay (or any other financial vendor). They are wasting thousands of hours, and they are very probably writing code that is insecure, confusing, poorly documented, and, in many cases, just plain wrong. Having a complete API implementation, and providing that to customers, is a service to everyone. It saves my time as a programmer, it saves time and resources on tech support, and it results in more secure code that is guaranteed to do the right thing every time. Now, the folks at PnP offered to audit my code and possibly offer it for download on their site, given certain licensing requirements, and I may take them up on that. I haven’t decided yet. But, to be honest, I find their attitude about the whole thing to be quite at odds with my view of how software development should work. Encouraging every individual programmer to find their own way is not the way to improve the overall security stance of ecommerce websites. In fact, I would say that the huge daily number of compromised ecommerce websites is a direct result of this stance. So, anyways, to this end, I offer my starter implementation of a full PHP API for PnP. So far, it’s incomplete, but exposes the most frequently used methods, and does it in such a way that it’s pretty difficult to get it wrong. Of course, you need a PlugNPay account to use this, but one hopes that if you found this article by a Google search, this is the solution you’re looking for. Now, it’s possible that I’m the only person that cares about this kind of thing, but if you’re interested in receiving updates of this code, or possibly in participating in the ongoing development of this code, please let me know, and we’ll work something out. Collaborative development of reusable code seems like the only sane way to implement a financial transaction codebase.